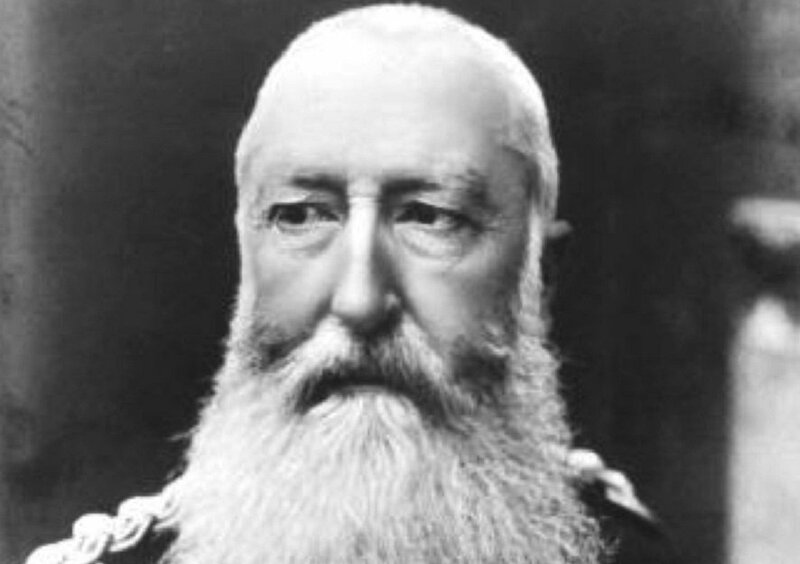 The King of the Belgians, Leopold II, who ruled from 1865 to 1909 has been described as worse than Adolf Hitler for his genocide against the people of the Congo Free State (now Democratic Republic of Congo) who he considered as his personal property including their lands and minerals. An undetermined number of Congolese, ranging in the millions, were killed in the hands of Leopold’s private colonial militia of 90,000 men called Force Publique, which he used to run the region that is the size of Western Europe and 76 times larger than Belgium. The area was handed over to him by 14 European nations and the United States at the Berlin Conference of 1884-1885 where Africa was shared among European colonists. 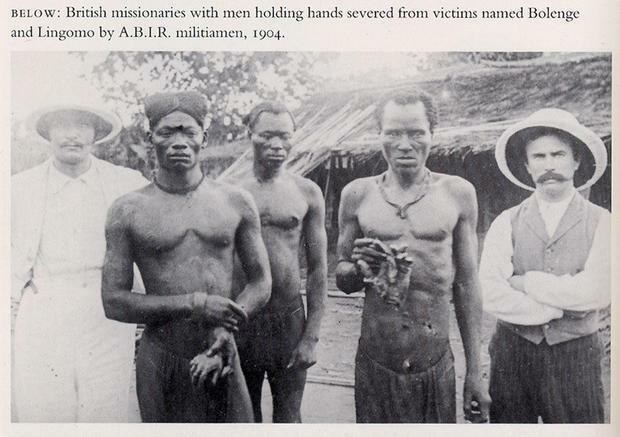 Leopold II’s claim to the Congo as his personal property was recognized after expressing his initial goal of using his so-called private charitable organisation, the International African Association, to offer humanitarian assistance and civilisation to the natives. 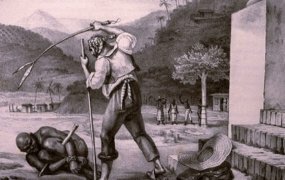 It was rather a horror for the people who were tortured, raped and killed by the Force Publique in order for them to diligently collect natural rubber for export. Hands of those who couldn’t meet their rubber quotas were severed including those of children, reports a German newspaper in 1896 which stated that 1,308 hands were gathered in one day. Before acquiring the Congo, Leopold failed in purchasing other areas in Asia and Africa including the Phillippines from Spain after he was lent money by the Belgian government for his expansion project. He strategically established the front organisation, International African Association, to “civilise the savage people” in 1876. 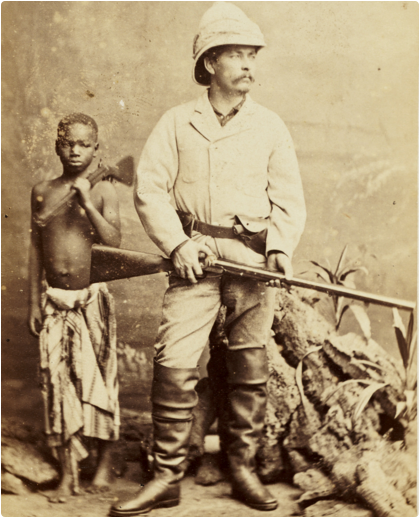 The greedy King hired Welsh journalist and explorer, Henry Morton Stanley, to explore and establish a colony in the Congo region. They used alcohol, trade and deception to create a relationship with the leaders of the natives and persuaded them to sign treaties ceding their lands to King Leopold. The kindness turned into savagery as violent force and intimidation was used to enrich the King who exploited the people for about 20 years. He collected and sold ivory before using forced labour to harvest and process rubber in the 1890s when prices soared. Thousands were also sold into slavery, confirmed eyewitness testimonies during an inspection by an international Commission of Inquiry in 1904 led by consul Roger Casement who was appointed by the British Crown. The blood money Congolese was used to build huge private and public construction projects in Belgium. 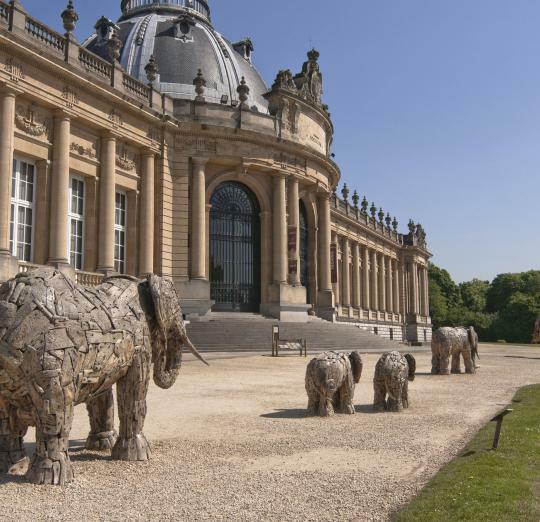 He also built a palace in Belgium which is now called the Royal Museum of Central Africa to display his spoils. The building currently makes no mention of the atrocities committed in the Congo Free State despite the large collection of colonial objects. 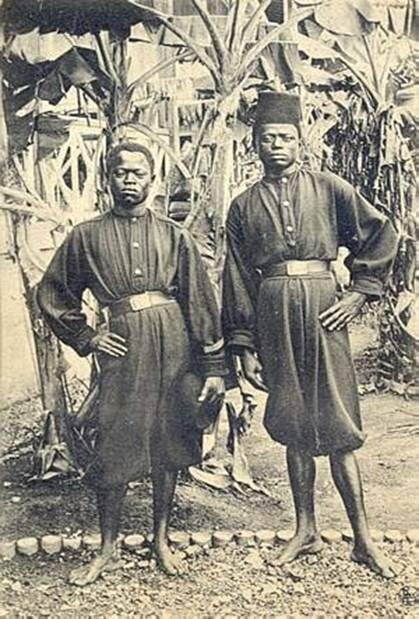 The Congolese natives did not go down without a fight as some communities like the Batetela, who had supported them in the Congo-Arab War of 1892-1894, revolted. In 1893, the Belgians killed the leader of the Batetela called Gongo Lutete for allegedly committing treason. Lutete was the chief who fought for Zanzibar against the Belgians in 1892. However, due to a fall out between him and the Zanzibar slave trader Tippu Tip over lack of payment, Lutete switched sides and supported the Belgians. He fought for the Congo Free State until he was accused of betraying the country and was charged in front of a kangaroo court and executed without any presentation of evidence. It was this act by the Belgians that brought the rebellion to their doorstep in 1895. 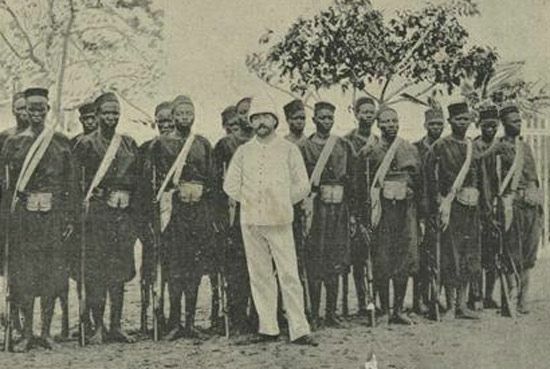 The Batetela officials in the Force Publique (now the Congolese National Army), who had been brought on board by Lutete, staged a mutiny at Luluabourg (modern-day Kananga). The soldiers were also fighting against mistreatment and flogging by white officers, as well as the withholding of their wages. They killed a number of Belgian officers and attacked a number of stations. The skills they learnt from the white officials made them quite dangerous but not enough to defeat the Belgians who attacked them at Gandu. They were killed in hundreds and injured, and those who survived fled. Two years later, the Batetela carried out another rebellion during an expedition to Upper Nile under Francis Dhanis, a Belgian official. They were heading to annex the Fashoda, a region in the present-day South Sudan. This group of army officers were armed and quite experienced. Tired of mistreatment by the white people, the Batelela turned against their white officers and killed many of them. Some of the complaints the mutineers had included reduced rations and excessive marching. The mutiny collapsed the expedition, meaning that Congo lost out on the imperial territorial fight for the region against the British and the Germans. In 1900, the Batetela staged their last mutiny. They took over the Shinkakasa Fort, also known as the Boma Fort, on the Congo river. The fort was built to block the entry of Portuguese from Angola. It is still not known why the army mutinied, but it has been said that they opened fire on a moored ship from Antwerp as a way to improve their social standing rather than fight the colonial administration. All these three rebellions are said to have failed because of its lack of vision and a leader. Even so, the last rebellion was able to hold off the Belgians until 1908 despite being defeated constantly. 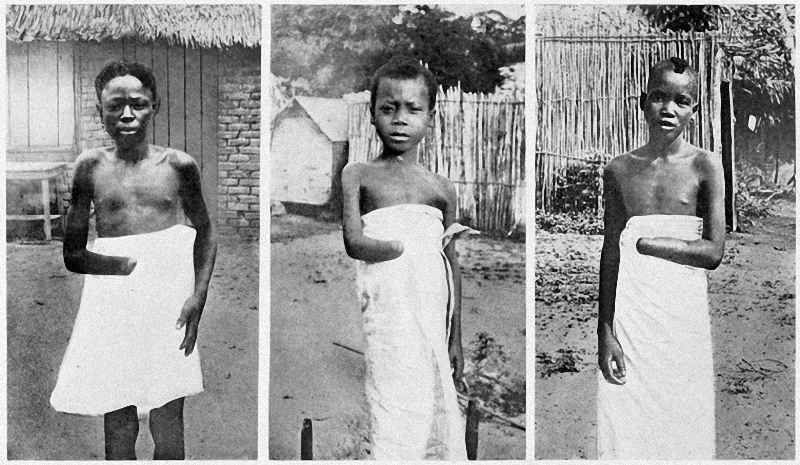 There was international pressure against King Leopold’s atrocities in the Congo and he was forced by the Belgian government to relinquish control of the colony to the civil administration in 1908. He didn’t leave without trying to conceal his crimes. King Leopold burned the entire archive of the Congo Free State and ordered his aides not to disclose what had happened in the region. The Congo Free State was later placed under parliamentary control and renamed the Belgian Congo. 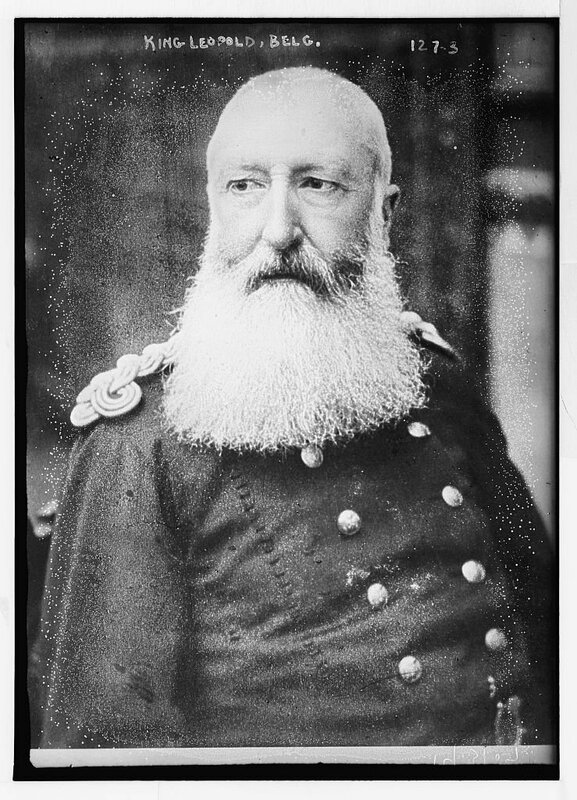 Leopold II died on December 17, 1909, but before that, he donated the private buildings and wealth he obtained from Congo to the Belgian state. The transfer of ownership of the Congo did not bring peace to the region which suffered civil wars before and after independence on June 30, 1960. Belgium, however, forgot the atrocities of its King and till date, refers to him as the “Builder King” who executed extensive projects including the Congolese genocide.